Hello, my name is Stacie and I’m addicted to books. I’ve loved books from way back before I even learned to read. My mom used to read me stories constantly – her exact words. She said I would be fussy if she stopped. Bedtime stories, nap time stories and stories just because. I loved listening to them and when I learned to read myself, I spent hours reading each day. Even 35+ years later, I’m still reading daily. My mom doesn’t read me stories anymore. I think she’d look at me pretty weird if I asked her to come over to read to me. Instead, I’ve discovered another new way to listen to my favourite books. I’m so happy that this service is finally in Canada. 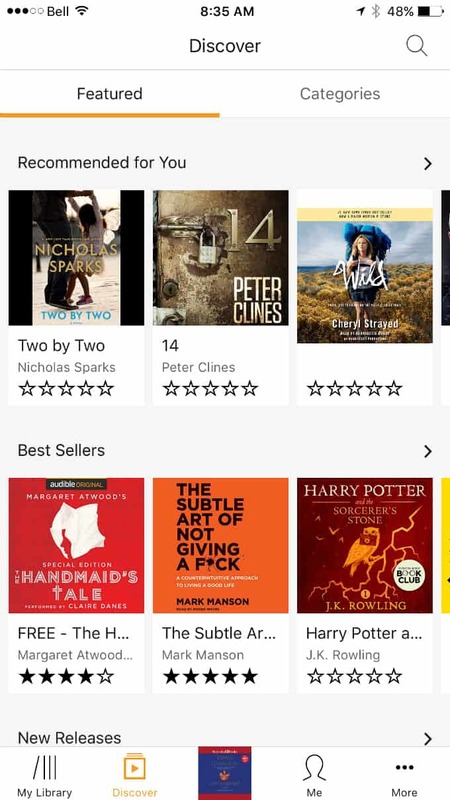 Canadians, Audible is available to you! I first heard of Audible about a year ago when I was listening to some of my favourite podcasts. The podcaster mentioned Audible and how they were really enjoying listening to books. 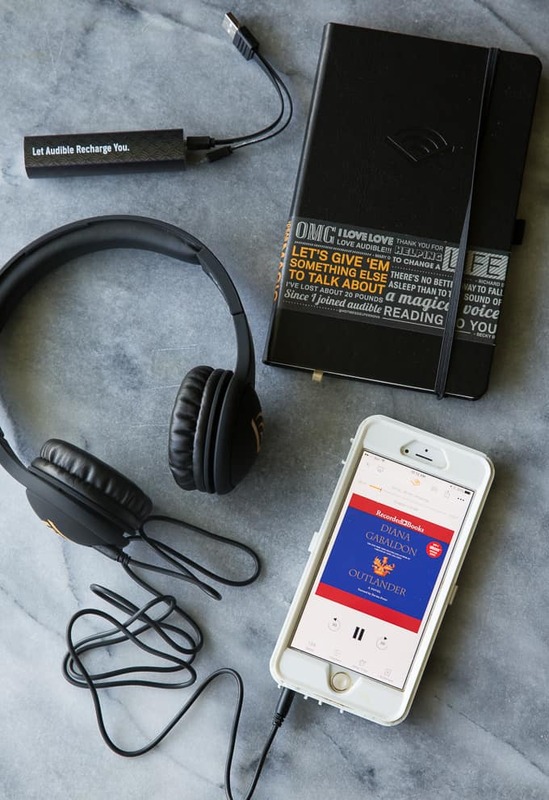 If you aren’t familiar with Audible yet, it’s a digital content platform that offers the best in spoken word content from Canada and around the world. In fact, they are the world’s largest producer and distributor of audiobooks with more than 200,000 audio programs from leading audiobook publishers, broadcasters, entertainers, magazine and newspaper publishers and business information providers. Instead of reading new and old favourite books, you listen to them via your computer or their mobile app. I logged into Audible.ca with my Amazon.ca account credentials. Once inside, I was like a kid in a candy store browsing the large selection of books. I discovered books that were on my “must-read” list already and some new authors that I hadn’t heard of before. It was great to see many Canadian books featured and I quickly added them to my Wish List. I was impressed with the large selection of books on Audible. You can search by category (like Romance, Mysteries & Thrillers) as well as by Bestsellers and new books. The hardest part was deciding which book to listen to first. I ended up picking a few because I couldn’t make up my mind. I started with The Handmaid’s Tale by Margaret Atwood, Outlander by Diana Gabaldon and And Then There Were None by Agatha Christie. I haven’t read The Handmaid’s Tale before, but have started watching the new TV show. It’s really good and it made me want to read the book. “They” always say the book is better anyways. So far so good! Another neat thing about The Handmaid’s Tale is that it’s narrated by Claire Danes, one of my favourite actors! I read the other two over 15 years ago and loved them back then. It’s been long enough that I wanted to listen to the story again. 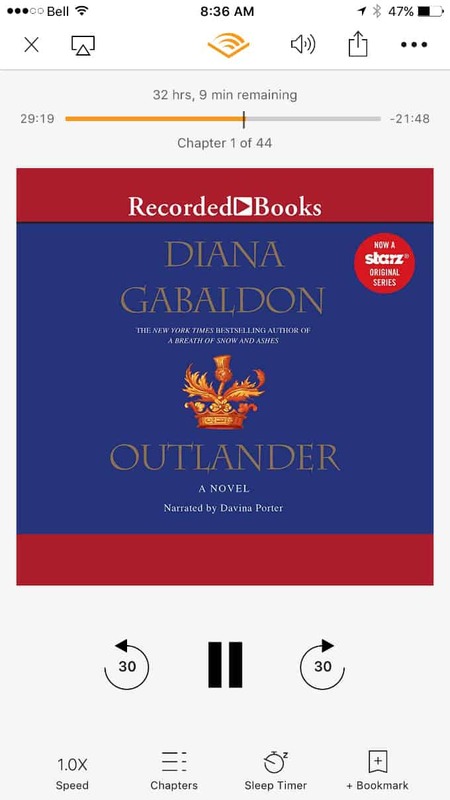 I like that I can buy the book on my computer and then it’s immediately available on the Audible app on my smartphone. I typically listen for about 30 minutes once a day, usually around bedtime. I find it incredibly relaxing and it reminds me of having someone reading me a bedtime story – a comfort from my childhood! I’m not concerned about falling asleep because I set the sleep timer on the app so it will shut off after a certain time. 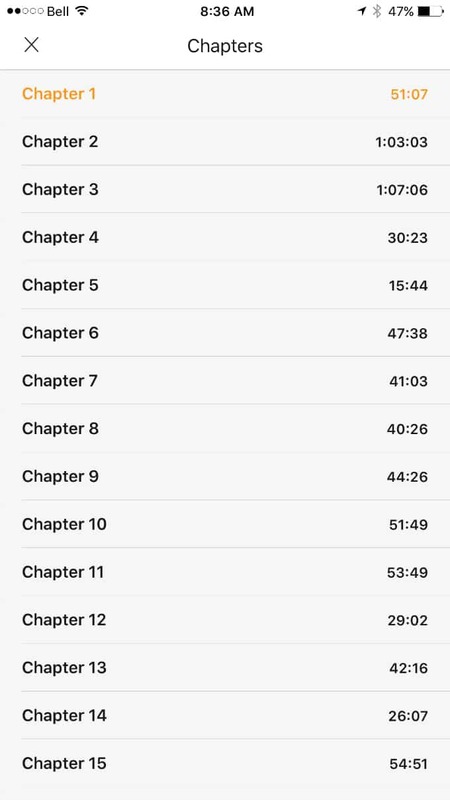 I can easily go back a chapter, too. I think that John, my husband, would benefit from an Audible membership, too. He doesn’t read traditional books, but loves listening to books on CD. He’s already listened to the few we own. I know he would love some new reads! Another way I can also see us using Audible is on long drives. I have my phone hooked up via Bluetooth in my vehicle and can play my books through the stereo. Books help make a long, boring drive much more interesting. An Audible membership is $14.95/month which will give you 1 credit a month to use. 1 credit can be used to purchase any book, at any price. 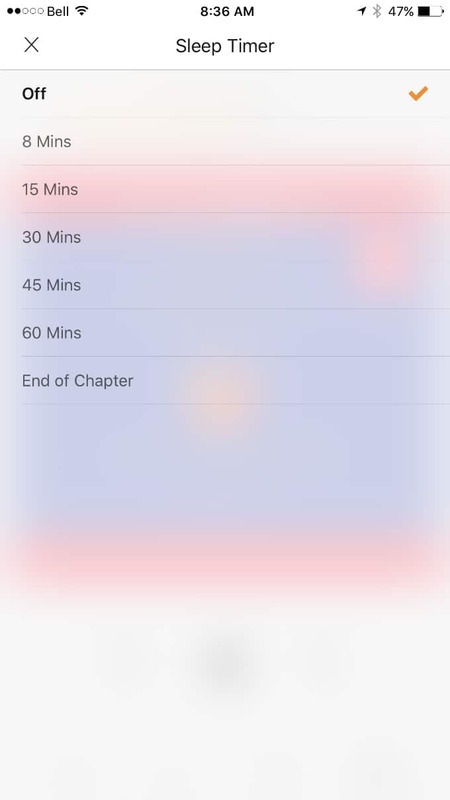 You get to keep your audiobooks even if you cancel. Plus, you can save 30% on any additional book purchases. I think 1 credit a month is perfect because some of the books are quite long and may take you a whole month to listen to. I’m loving Audible and think that you will too! Visit Audible to browse their selection of books and start building your Wish List! Which book are you looking forward to listening to first? Connect with Audible on Facebook. I have never used a service like this, but think I would enjoy it. And I’m an avid reader. Hubby dislikes the light on in the bedroom late at night, with me saying just one more chapter. lol. This would solve that problem. I would start with Lord of the Flies. Oh this is neat ! I love listening to books ! I love reading to , but sometimes at the end of the day my eyes just don’t want to focus like that ! I would like to just sit out side on a nice day and listen to a good book , or laying in the tub ! I will have to look in to this ! That is so awesome! I can’t believe you had to wait this long! Audible is the best! Sounds interesting, I have a friend that would definitely be interested in this so will have to tell her about it. A friend sent me a link to a free book and I love it. It really helps my commute fly by! I had no idea that audible was not in Canada. That is so exciting. All the books that you can read so cool. I love using it when I am going on a trip. I really do love to read but I haven’t had much free time lately. Listening to it instead sounds awesome. I have been watching Outlander and I haven’t read the books yet. I will start with that series. I’m afraid that I’m old fashioned and love to have the book in my hands to read. I have a Kobo but haven’t touched it in years, I find an actual book so much nicer. this is so great to know about! I am so excited that Audible is available in Canada now. I will have to go to Audible.ca and check it out. I love to listen to books while I relax in the tub. I’m so glad you guys have Audible now! I love it- been a subscriber for years. And guess what? Outlander was my first book! ha! I haven’t tried Audible now that I have to pick up the kids at the car line is so long, it is a great opportunity for me to try it! I have a list on Goodreads of books I want to read. Can’t wait to try it. This is really good news. Audible is awesome for exercise and amazing for long road trips. Their selection is huge too! I love reading. But don’t always have the time. This is s great app that could work for me . 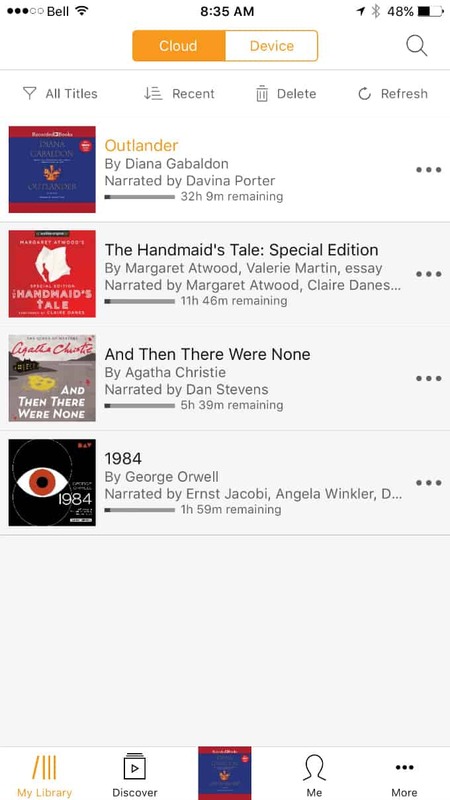 I am obsessed with audio books and have been an Audible member for a few months. I am so glad it is available to more people now! Great news! I love when companies expand their service area. I never realized Audible was not available in Canada. Interesting. I was very into audio books a few years ago but I gave them up because it was a hassle to take them with me but this sounds like the perfect solution to that. Oh and I wish in some cases though that we got to choose – apparently the UK version of audible has Stephen Fry reading Harry Potter, and he reads the UK versions of the books. I’d rather that than the US versions. I will have to talk to my son about Audible. He listens to audio books all the time. This sounds interesting and I love to read but just haven’t had much time lately. I haven’t tried Audible yet. I had no idea Canadians didn’t have access t it! There are so many books to read and I’m reading as much as a can but still behind, been thinking of doing audio books as a way to catch some more books. Are the books free if you have a membership? I would use something like this I love reading and don’t get time to do it enough! You get one credit a month with the membership which is good for any book on the site.